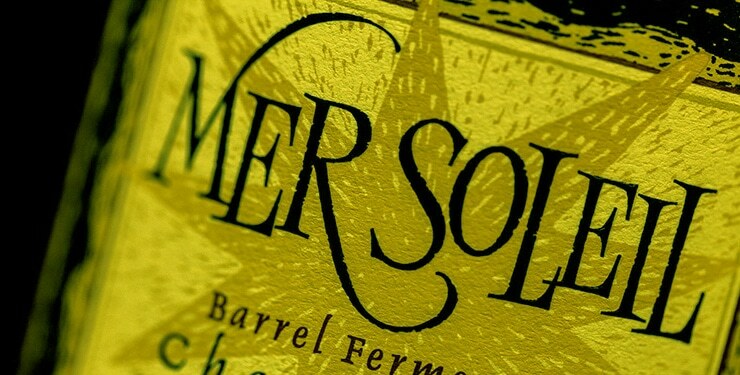 With the highly-anticipated release of the 2013 Rombauer Chardonnay, I got to thinking about how this varietal became what it is to the US wine drinking public. Like Cabernet Sauvignon, domestic Chardonnay kicked into high gear in the 1970s and really it has never looked back. When I started my competitive wine judging career in the late 1980s, judges felt rewarded when a competition gave them Chardonnays. It was the most coveted category in those days because it was the hot new superstar. Now, decades later, Chardonnay is the best-selling wine varietal in the United States because it is so consistently good. At all price points, from under $10 to the-sky-is-the-limit, Chardonnay performs well. And not just those from California, but from all over the world, this wine clearly attracts the whole range of consumers. Since 1982, Rombauer Vineyards in the Napa Valley has produced one of the state’s most sought-after Chardonnays. In all channels, from retail to restaurants, Rombauer is a leading performer. Because of its crowd-pleasing style and inviting flavor profile, it’s the perfect wine to sip on a sunny deck or serve to wine-loving guests. 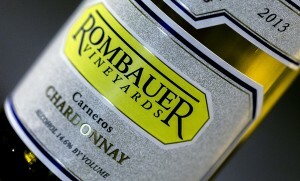 I serve Chardonnay often because my family, friends and neighbors enjoy it, and Rombauer is one my top choices. The new release 2013 Rombauer Chardonnay, made from the winery’s estate-grown grapes in the cool climate Carneros District is another winner. It shows ripe tropical fruit and high quality oak in admirable balance. The 2013 vintage was nearly ideal in northern California and without question, this Chardonnay benchmark shows it. Let’s celebrate the release of the 2013! Today we’re testing out the new Wine.com Storyboard — a mixed media mash-up about Chardonnay. Our goal is to tell the story behind the wine – more than static media can accommodate. Click to play, and comment to let us know what you think! On Thursday, May 22nd, the 5th Annual Chardonnay Day will be here and the burning question is… what will be in your glass? If one wants to get maudlin, it was only four decades ago when Chardonnay was not on the menu. If you asked any retailer in the early to mid-1970s, “what is your best-selling white wine?,” you can be sure the answer would not be Chardonnay. No, the most sold white wine of that era was California Chablis (which in fact, was not Chardonnay at all). We have come a long way! To some folks (perhaps those in the ABC – Anything But Chardonnay – crowd) Chardonnays taste entirely too similar, and to some extent I would agree. Wineries have become so adept at producing well-made wines that it can be hard to distinguish one from another. Yet differences do exist and the hallmark of the finer producers is high quality and consistency. Over the last half-dozen years, three successful California Chardonnays that have exhibited these traits include MacRostie Sonoma Coast, William Hill Estate Winery Napa Valley and Mer Soleil Reserve. What makes them the darlings of the industry is that they have found a place in the market and stayed true to producing wines of high quality and consistent character. The William Hill Estate Winery Napa Valley is rock solid in its makeup. Drawing from Napa’s cool Carneros and warmer St. Helena regions, the wine exhibits fine core fruit notes and a warm and balanced palate. When I am looking to feed my friends lightly grilled prawns, I often reach for a Sonoma Coast chardonnay and no one does it better than MacRostie. A bit subtler than the aforementioned William Hill, MacRostie deftly defines the crisp nature that this AVA is apt to show. 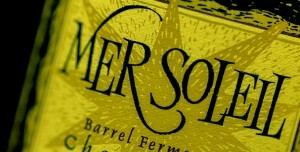 On the bold and powerful side, I recommend the Mer Soleil Reserve. Creamy and layered, one could easily pair this wine with organic roast chicken (I am a big fan of organic chicken because the flavors are sweeter and more distinctive). This trio ranks among my best choices in the marketplace, and may make one wonder: was Chardonnay always this good? Let’s dial back to the early 1970’s and take a look at the varietal’s place in the market. One of California’s greatest wine books, The Fine Wines of California by Hurst Hannum and Robert S. Blumberg, published in 1973, listed 32 Chablis (from California) and only 20 California Chardonnays, including, Buena Vista, Chalone, Cuvaison, Hanzell, Charles Krug, Llords & Elwood, Robert Mondavi, Parducci, Simi and Stony Hill. Yet the real story in this era was that Americans were still drinking California Chablis. From 750 ml (called fifths at the time) to 4.0 liter bottles, California Chablis was the show. But Chardonnay’s time was about to come. As a retailer in the 1970’s, I started moving away from Chablis, instead offering our customers the likes of Beaulieu Vineyard, Simi and Kenwood Vineyards. Over time I moved the clientele to Cuvaison, Chalone and Spring Mountain, among others. The “everyday” group consisted of fresh, frisky and fruit forward wines and the upper tier brought wines into the French Burgundy tier. Chardonnay enjoyed such a great launch pad at this time; it eventually became the white wine that ran the business. As the industry grew up, wineries such as Sonoma-Cutrer and Kistler Vineyards took a bold step and modeled their works after the Old World epicenter of Chardonnay, France’s Burgundy region. Yep, those high-priced vineyards that only the French and American wine aristocracy could pronounce. Puligny-Montrachet was not in the common vernacular at that time. Chardonnay, the most important white wine in the world, is ready to party. 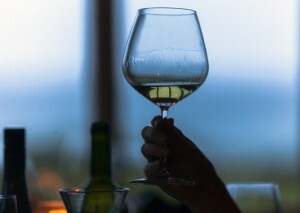 What will be in your glass on Thursday, May 22nd, The 5th Annual Chardonnay Day? I already have a few bottles in the fridge ready for action. Look forward to sharing some tasting notes with you then! Wine should not be so difficult; we professionals sometimes take the subject a little too far. We go into acidity, pH and alcohol. Some of us even talk about volatile acidity and brettanomyces. Certainly, these are subjects we can get into, if anyone wants to learn more. But wine is about enjoyment. When I started drinking wines at age 21 (or maybe a bit earlier when I took a sip of some Beaulieu Vineyards Private Reserve Cabernet out of my dad’s glass when he wasn’t looking) it tasted good to me. I was just mimicking what the French did with their children to get them acclimated to the world of food and wine. Tasting. One of my wine missions in life is to bring good values to the wine-drinking public. Heck, anyone can buy the most expensive wine in the world, with a reasonable expectation that it may be pretty good. But to find bona fide values in the marketplace takes more than just knowing brands. So I want to share with you three delicious wines that most of us can afford. This trio hovers in the $10.00 to $15.00 range – what we call great values. The Hess Select brand is one of the wine world’s hottest and recognized values and the Chardonnay, from Monterey County, drinks exceptional well. Ripe fruit abounds, and its easiness on the palate puts it a cut above the rest. I can see this one as a superior cocktail party wine and one that a working chef can enjoy before the meal is served. Over the last few years, Red Diamond has become a great American standard for good wine. My favorite of the line is the Cabernet Sauvignon. Smooth and delectable, could be a treat for the backyard cook at the grilling station. Loosen is an extraordinary international name and the Loosen Bros. Riesling Dr. L from the Mosel drinks with grace and style. A well-defined Riesling, this wine shows telltale apple and flowers in its flavors, and is elegant on the palate. For those fearful of Riesling, this one will take you to the head of the class. Wine does not have to be complicated. Don’t fret if you are not following the right protocols – just enjoy! When it comes to a quick gift, a bottle of wine is an easy – yet thoughtful and much appreciated– way to go. By the time Thanksgiving hits, I like to have a few bottles on hand for when and unexpected guest stops by (“Stay and have a glass of wine with us!”) or when you need a quick gift (oh everyone is giving the school principal a gift as well! ), you’ll want some wine to serve or give. . Guests: Carletto Prosecco is floral and fruity and fresh, it’s super palate pleasing and great with appetizers or a cheese plate. Gloria Ferrer Blanc de Noirs is slightly more upscale, it’s more rich and creamy in texture and craves something a bit salty. Excellent for a toast or with some heavy snacks. Gifts: La Marca Prosecco is such a pretty label… and it’s pretty. I hear people tell me how much they love this wine and it is absolutely consistently delicious. Piper-Heidsieck Brut Cuvee is more pricey, but for a true Champagne, it’s a steal. Not to mention a holiday-appropriate label. Guests: A to Z Pinot Gris is easy to pull out for guests as it’s delicious with food or without. Gifts: For those who don’t like Chardonnay, the Silverado Miller Ranch Sauvignon Blanc is an excellent wine to gift to a white-wine lover. And for those who enjoy richer Chardonnay, the Iron Horse Estate Chardonnay is a beautifully balanced wine and a go-to for gifts. Guests: Elk Cove Willamette Valley Pinot Noir is one of my favorites from Oregon. It is a delicious and affordable Pinot to impress guests, whether you pair it with dinner or sip on its own. Gifts: Cabernet is a go-to and the Justin Cabernet Sauvignon is one I’d readily gift to any red-wine lover. And a wine you could use for gifts or guests? The Catena Malbec. It wins every time.